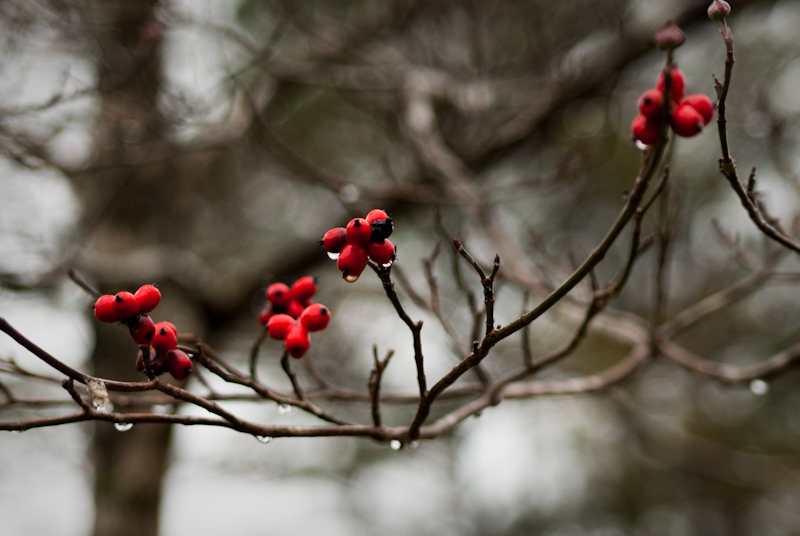 Berries of a dogwood tree in the rain. It’s awesome how God takes care of the birds; the berries appear on the dogwood tree at a time of year when the insects are scarce. The real cool thing is that God will take of us too, if we let Him and trust in Him.